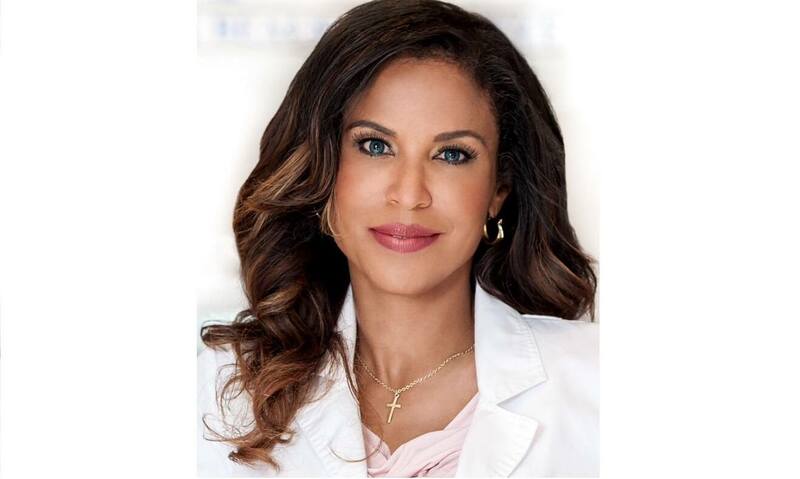 Dr. Susan Evans graduated from Harvard Medical School with dual medical degrees in dermatology and internal medicine. She established her medical practice specializing in dermatology in the heart of Beverly Hills, CA. Most of her clientele are celebrities we only see on the big screen. Along with the lime-light clientele, Dr. Susan's expertise has been sought as a medical expert on Dr. Oz, Oprah, the Doctors, CNN, the TODAY show and many more. Dr. Susan is the mother of four children: 10 year old twin daughters, L. Elizabeth, S. Mary, and two sons, Nick age 14 and Z. Hugh age 8. She was was voted Dr. Mom on the TV series Dr. 90210. However, like thousands of other parents in Los Angeles County, she has lost her 4 children to LA County Department of Child and Family Services (DCFS), even though no charges have ever been filed against her. Not only have no charges been filed against her, a dependency court judge ruled that there was no reason for DCFS to keep her children out of her custody, and dismissed the case with prejudice (meaning the evidence they presented could not be brought before the dependency court again). So why is she still battling LA County DCFS to get her children back? How has a child "protection" social services agency like LA County DCFS become so powerful, that a respected medical doctor in Beverly Hills' affluent community is rendered helpless over what she believes is the state-sponsored kidnapping of her children? Hello Doctor I am a grandmother fighting for my grandchildren (4)DCFS has lie about my family they lie to the court system trying to destroy my family, we have court on the 12 of this month, they have gone to far to the point that they have one of my grandson in juvenil hall, I am pleading to anyone out there please help, it is really unfair how they treat and mistreat families just to cover up there own wrong doing. Are there any updates to this story? There are at least three sides to everyone's story. Furthermore, this story seems very hard to believe. But that said, lots of people should know about it. Because whether or not this doctor is wholly a victim of the State, what happens in California and elsewhere deserves publicity by all of us who are seeking to perform public service. So, my campaign and I just wanted you all to know that we were impressed enough -- and also heart-broken enough -- by your coverage to link this story from our http://familycology.org site. God Bless and may all of the good people on all sides of every political debate win!!! A "well-known, respected" physician in an "affluent neighbourhood", can still be a bad mother. I'm sure these posts from Coconut Health, but I would like to hear both sides of the story!! No one has really ever taken an interest in this... and with tears in my eyes, I have to put myself together just to not sound uncontrollably emotional. But definitely will do. Fed court does nothing anyway. This happened to my family in Minnesota in the early 80s and my son, now 40, has NEVER been able to get out of the system! I am totally confused about the lack of prosecution of all the people conspiring against in FEDERAL COURT. There's nothing here about action in Federal Court? Why not? This is absolutely heartbreaking. DJFS as a whole is corrupt and broken in this country. I would think with Riverside County getting hit so hard for this LA County would get a clue. San Diego County doesn't do anything unless there are drug's where they can see them or no food in the house since there's no where to put children from what I was told by a friend who works for CPS out there. I am fighting the same corrupt system and my prayers are with you and your children. I pray that you are reunited quickly. DFS people are carrying out the behest of the “ultra left wing” officials in our rogue government. In this you are greatly mistaken. "Conservatives" are just as much part of this, maybe even more so. There are criminals enough in both parties. "To the charge that we take children from their families we plead guilty. Karl Marx in the Communist Manifesto. It is no secret that the DFS people are carrying out the behest of the "ultra left wing" officials in our rogue government. The list of kidnapped children from parents grow daily. And not only that but the court system in in league wit them. Only when a organized protest made public (non-violent in nature) occurs in every state will this stop. Parents had best take heed and quit being pacifist. I'm so sorry you are going thru all of this. I myself, have been unfairly treated by Dcfs. I'm very glad you have the support of others and to stand up to Dcfs. I wish you the best! I wish to be clear that I highly disapporove of mind control programming. Oftentimes fathers are severely traumatized by these cases as well. I propose that we work together to stop the abuses and resultant traumas happening from these cases. In order to do so we must understand what is happening that is allowing these kidnaps to occur and the resultant personal and family destruction. Systems that are meant to serve the individual are instead being used to destroy the individual and family. It is my opinion that Intel agencies and secret societies are at the root of these problems. I feel that these organizations must be severely limited in power to an appropriate purpose as opposed to controlling every detail of our lives and marching us straight into the NWO. I am open to ideas. Many thanks to medicalkidnap.com for this extremely valuable site.